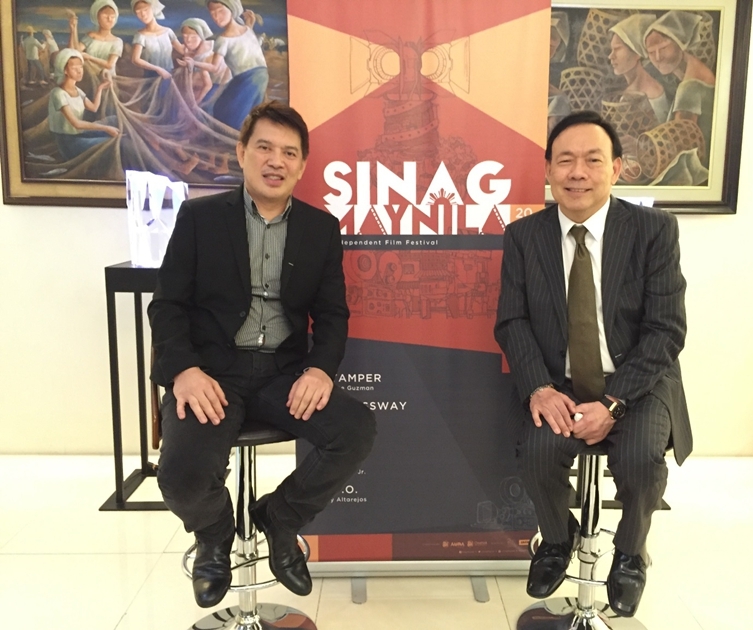 Since its successful inauguration last March 2015, the first set of featured films have debuted in various international film festivals. 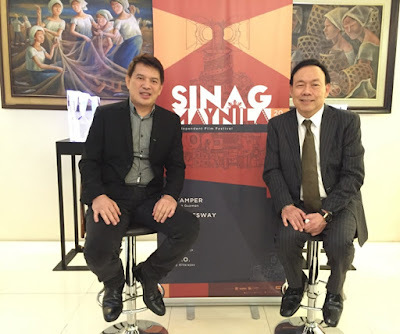 “The exposure of the filmmakers in other countries brings pride and honor to Sinag Maynila and to the Filipino Filmmakers,” says Festival Director Brillante Mendoza. As we welcome the new year, the independent film festival Sinag Maynila already has a line-up of films showing on April 21-26, 2016. 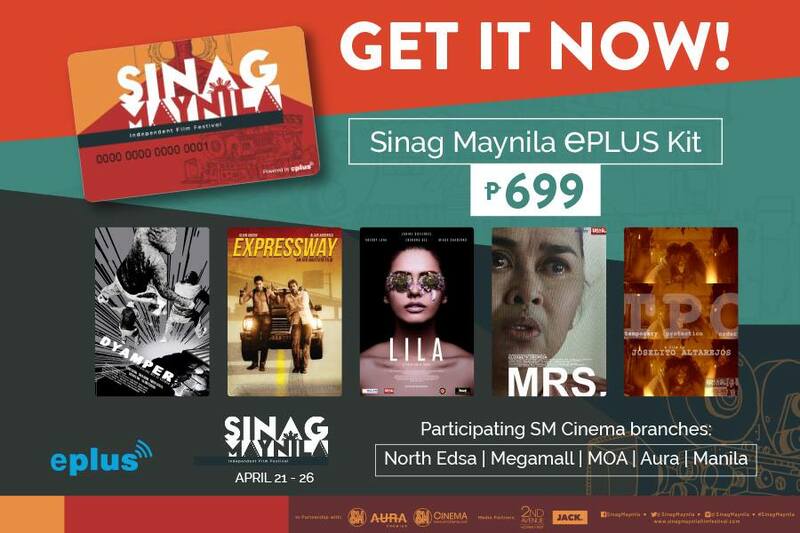 The five (5) featured films will be showing in 5 SM Cinemas: SM Megamall (Pasig City), SM Aura Premier (Taguig City), SM North Edsa (Quezon City), SM Mall of Asia (Pasay City), and SM Manila. Five chosen filmmakers closely collaborated with Tieng and Mendoza. This collaboration resulted in stories that reflect the Filipino culture while illustrating messages that will resonate globally. 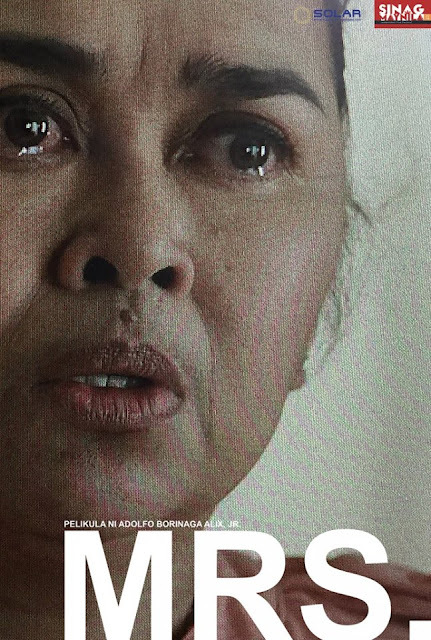 Synopsis: 70-year-old Virginia shares the old ancestral house with Delia, her ever-loyal maid. Delia is marrying her long-time boyfriend, Rene, and tearfully confides to Virginia that she wants to go home to her parents in the province to start a new family life with him. Haunted by a past that Virginia tries to conquer—her only son Sonny Boy who disappeared years ago, what follows shows a portrait of a woman and a mother trying to juggle the sad realities of life in a cycle of life and death. 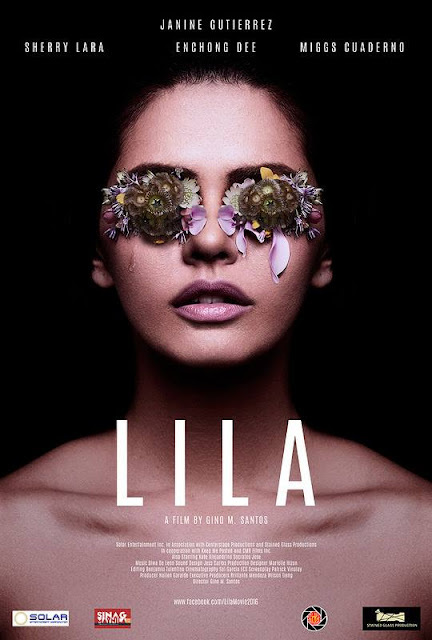 Cast: Elizabeth Oropesa, Lotlot de Leon, Rosanna Roces, Anita Linda, Mark Herras. Synopsis: A syndicate old-timer named Ben needs to do one last assignment before the boss he works for grants him his much delayed retirement. Assigned to be his partner is the neophyte Morris, a trigger-happy, sadist who yearns to impress the syndicate boss. For Ben, this last assignment turns out to be a journey of introspection, self-healing and redemption. With this awakening, he takes it upon himself to pull Morris out of the eventual hell-of-a-life he says he has lived as a hitman. Cast: Alvin Anson, Aljur Abrenica, RK Bagatsing, Kiko Matos, Inez Bernardo, Japo Parcero, Arpee Bautista, Jim Libiran. 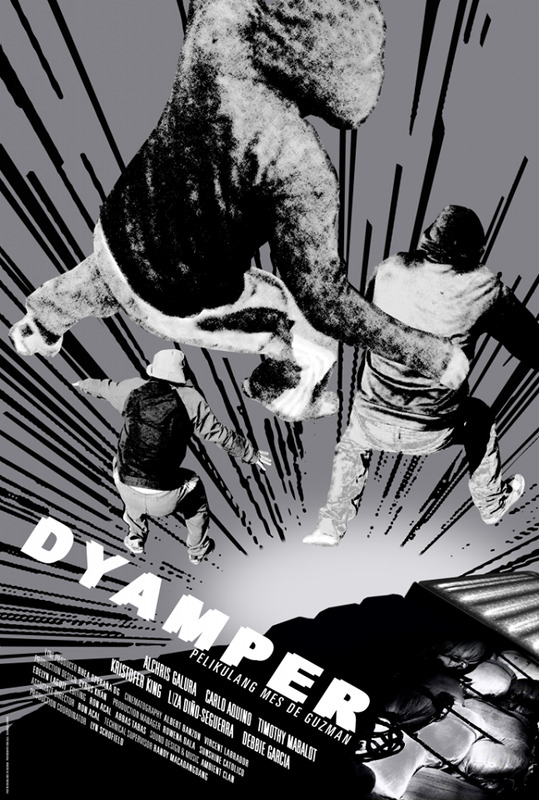 Synopsis: Three friends wait along Dalton Pass every dawn to jump at the back of rice delivery trucks to steal the goods and sell it at the wet market as their means of income. 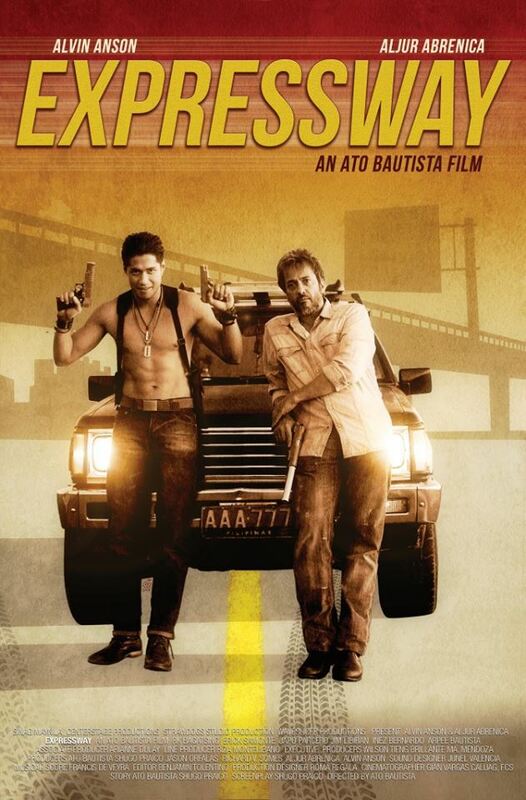 One of them accidentally gets a pack of drugs in one of the trucks they jumped and finds themselves in jeopardy when its owners track them down to retrieve the stash, and gives them a chance to get off the hook by means of taking on a risky mission. Cast: Carlo Aquino, Alchris Galura, Tim Mabalot, Kristofer King, Liza Dino-Seguerra, and Debbie Garcia. Synopsis: Teresa is a battered mother in the hands of her husband, Miguel. 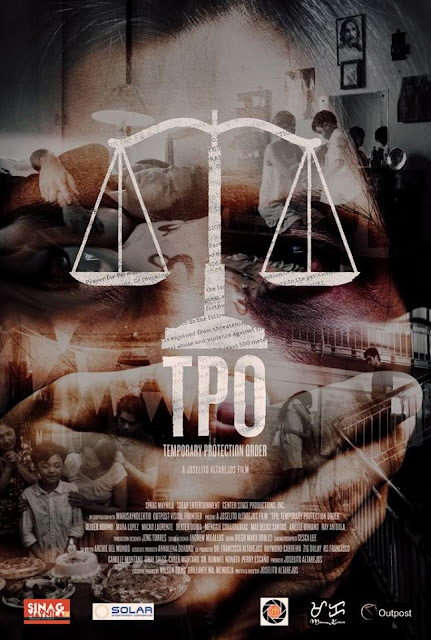 When their son Miguelito starts to get hurt as violence erupts at its worst, Teresa will seek Temporary Protection Order (TPO) against her husband. Meanwhile, Miguel, together with their son, goes through the same long and arduous process of applying for the custody of their son on the town’s most festive and busiest day. When they see each other in the middle of the road, an accident will ensue leaving them both destroyed and at the losing end. The narrative will start repeating backwards, the truth will be revealed with scenes that have yet to unfold. 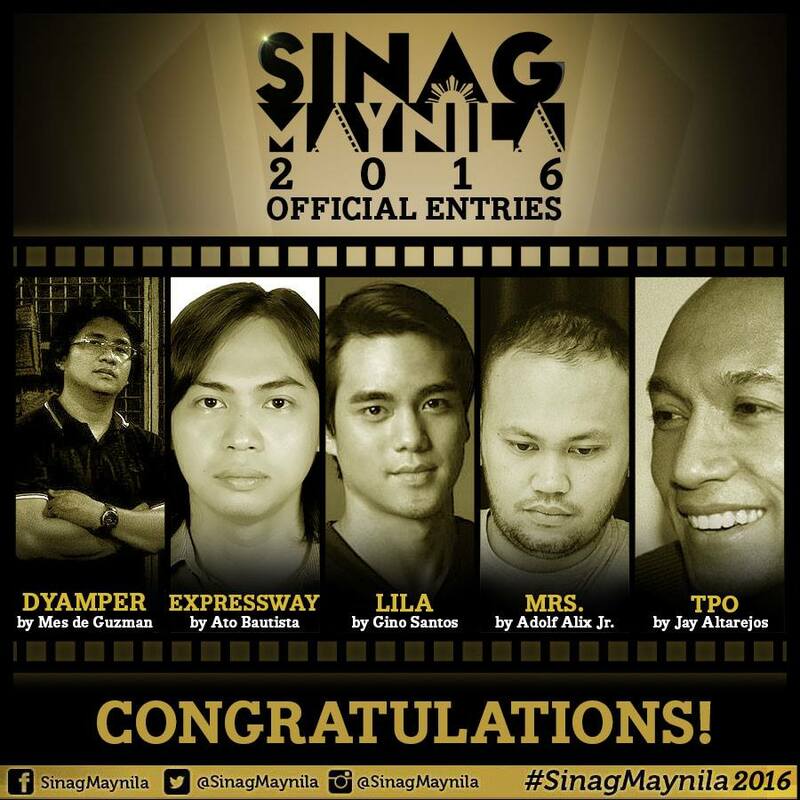 Cast: Oliver Aquino, Mara Lopez, Micko Laurente, Menggie Cobarrubias, and Lui Manansala. Synopsis: Jess is a young woman running from her past and moves into the house of a warmhearted landlady. She finds a diary in her room that belonged to an old tenant. As days pass, strange occurrences ensue and the diary's words take an eerie turn when Jess finds herself in the middle of a malevolent turn of events from a dark past not entirely her own. Cast: Janine Gutierrez, Enchong Dee, Sherry Lara, Miggs Cuaderno, Kate Alejandrino, and Socrates Jose. Make your Sinag Maynila 2016 experience more memorable and affordable with the limited edition #SinagMaynila #ePLUS card for only P699. Watch all five entries, opening and closing films, and more!